Lanoha Nurseries is one of the largest landscaping companies in the Midwest, offering full-service Residential and Commercial landscape divisions, nursery, and Garden Center. We have one of the largest selections of tree varieties and sizes in the Midwest. We grow the majority of our plant material on over 1,000 acres of growing fields in the Omaha area, ensuring that they flourish in the Nebraska climate. In addition, we have over 10,000 square feet of growing space for annuals, perennials, and shrubs, including eight new state of-the-art production houses added in 2010, and four additional houses added in 2011. Our growing operations are headed by dedicated and knowledgeable horticulturists who take pride in providing the highest quality of plant material to our customers. Clear Creek Landscapes is a team of outdoor living experts specializing in custom residential Garden and Hardscape design, committed to turning your dream yard into a reality. We set the standard of quality workmanship and outstanding customer service, ensuring each and every client is proud to show off their project. With creative solutions for every budget, Clear Creek makes it possible for you to have a custom landscape design, patio and outdoor kitchen design, and pool and water feature design that fits your home and lifestyle. Clear Creek Landscapes is a Preferred Contractor for Watkins Concrete Block and many other major suppliers in the Omaha area. We are proud to be Belgard Authorized Contractors as well as TimberTech Elite Contractors. Our top performers with the company have all taken certification courses through ICPI and NCMA to advance their abilities and understanding in Retaining Walls and Paver Patio’s. We have also completed courses in Belgard University and Pavestone Hardscape Institute Storm Water Pollution Protection Planning (City of Omaha). Clear Creek Landscapes is licensed, registered and insured and have maintained the highest rating with BBB as well as making the Honor Roll with the company to ensure a great relationship with a reputable company. Contact us today for a friendly consultation. We look forward to helping you with your upcoming project. Omaha Turf Management, LLC dba Omaha Backyard Living has 17 years experience providing the highest quality landscape, grounds maintenance and snow removal services in Omaha. Omaha Backyard Living has a proven track record with long list of commercial and residential customers. Omaha Backyard Living has produced amazing and award-winning landscape design and installation projects for Omaha residents each and every year, while our grounds maintenance division continues to keep our commercial clients’ properties looking top-notch. The team is highly trained and motivated to serve you, with more than 50 combined years of experience in landscaping design and installation, turf care, irrigation maintenance, hardscaping installation, retaining wall installation and snow removal services. Check out "Our Team" section on www.basharaco.com to learn more about our professionals. We operate under a very simple principle that guides everything we do: Our customers are our neighbors and friends who trust us to provide superior service at a fair and reasonable price. Our commitment to the highest degree of professionalism leads our clients to share their positive experiences with their neighbors and friends, helping us grow our business and continue providing the highest level of service possible in the industry. Neptune's Water Gardens is the Omaha area's source for water garden and fountain products. We carry an assortment of water treatments, pumps, filters, fish and plants. 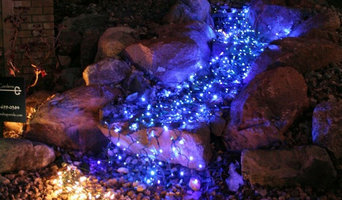 We have many displays on site to give you ideas for the perfect water feature. BGM Enterprises, Inc. provides services to both Commercial and Residential clients in the Omaha/Lincoln area. BGM Enterprises, Inc. offers our customers not only superior grounds maintenance but also provides our customers with beautiful, functional hardscapes and softscapes. At BGM Enterprises, Inc. we know how important it is to maintain and beautify your properties exterior surroundings. After all, your lawn and landscape is the first thing people notice when they arrive at your property. At Hudson Hardscapes LLC., our goal is to not only help you design and build your envision, but to make the process easy and enjoyable for you. We can help you with all your Hardscape needs. Our exceptional reputation and long list of satisfied clients attest to our superior craftsmanship, details, clear communication, honesty and integrity. We bring together the right professionals and years of experience to provide you with the landscape and outdoor living areas of your dreams. We design, install and build every project with premier detail and guarantee to client satisfaction. 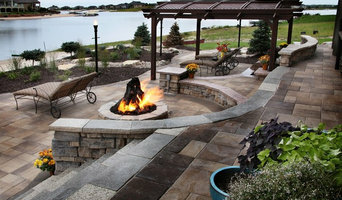 RDM Landscapes is a small owner operated landscape contractor located in Lincoln, NE. We service Lincoln and the surrounding communities. We strive to connect with our customers to surpass their expectations. We will keep each client updated throughout the project, so you can be apart of the entire installation process. We are a landscape and design company that has been providing the greater Omaha area with beautiful landscapes for over 17 years. We have a huge passion for what we do and always make sure to hold strong to our company values of honesty, loyalty, quality, professionalism and customer satisfaction. We are a start-to-finish landscape design and build firm. 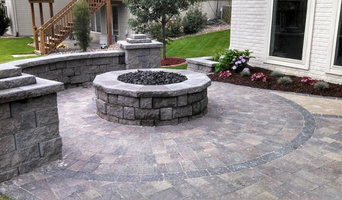 We facilitate the process of making your outdoor living dreams come to life. DMS Landscaping is a family owned and operated business that has been serving the Omaha area since 1996. DMS is built on hard work and dedication. DMS has two full-time landscape designers. When you choose DMS for your Landscape and Poolscape needs: you are choosing a company that cares about the finished project just as much as you do. 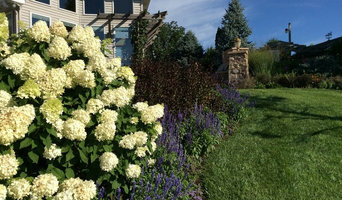 Jensen Gardens is the premier full-service landscaping firm serving the Greater Omaha area. We bring beautiful, inspired designs and provide exceptional value to your outdoor environment. Our unparalleled team of dedicated professionals can guide your project from concept through transformation. We have expertise in all aspects of residential and commercial landscaping including water features, fire pits, and landscape lighting. We also offer the Metro’s most comprehensive commercial turf maintenance, snow and ice control, and an on-site nursery with certified Arborists. Serving the Omaha area since the past 16 years. Owned by Ed DeWispelare, with a solid business background and experience. Well know for quality work and on time service. Members of Nebraska Landscapers Association and BBB. FREE Site Visits. Viking Lawn Care is a company that strives to set our customers' lawns apart from the rest. Our attention to detail, customer service, response time, flexibility, and stripes will leave you assured you made the best decision for your lawn. Why should I hire a Malmo, NE gardener or landscaper? Even if you do have a few green fingers yourself, gardeners in Malmo, NE will have the experience and training to carry out larger landscaping projects and will have the eye for what works best where and when in your garden. They may work with a landscape designer or architect who will put together the plans that they then execute, or they may do this work themselves. If you’re looking for a Malmo, NE landscape architect, or perhaps you want to select your own garden supplies yourself, then you can find the right professionals for this on Houzz, too. Here are some related professionals and vendors to complement the work of landscape contractors: Landscape Architects & Garden Designers, Garden & Landscape Supplies, Stone, Paving & Concrete, Tree Services. Once the plants have been chosen, planted or potted, and the lawn or patio laid, then your garden will be ready to enjoy, but never completely finished. Like all living things, your garden will grow and change with time and the seasons, so it will need a bit of TLC and garden maintenance from time to time. This is when you may want to hire Malmo, NE gardeners again, especially if you have a very large garden or landscaped area that needs constant upkeep. Hire Malmo, NE gardeners to water, weed and prune your plants, keep the lawn trim and green, and cut back any over growing trees. Some Malmo gardeners may source their own garden supplies, while with others you may have to do this yourself. Find landscapers or gardeners on Houzz. Narrow your search in the Professionals section of the website to Malmo, NE gardeners and landscape contractors. You can also look through photos of Malmo, NE landscapes and gardens to find one you like, then contact the Malmo, NE gardener who worked on it.